A quick view of the most influential metrics in Mission Hills. The neighborhoods of Mission Hills, Bankers Hill and Middletown in San Diego, California are affluent, historic and all conveniently located near Downtown San Diego. These neighborhoods are all three upscale or were upscale in the past. Bankers Hill is sometimes known as Park West and Middletown is also known as Midtown but Mission Hills is just Mission Hills. All three neighborhoods are largely residential and hold a mix of courtyard apartments, historic condominiums, historic homes and modern middle class homes giving them an eclectic yet welcoming atmosphere complete with shady tree lined streets and friendly neighbors. Mission Hills is located in the hills south of the San Diego River Valley and is part of the Uptown community planning area and is home of a variety of unique boutiques and eateries. This neighborhood features elegant homes, tree lined streets and a bustling business district. Mission hills is known for it's diverse architecture, beautiful gardens, historic homes and active business district. The homes in this neighborhood tend to be from several styles like Craftsman Bungalows, Mission Revival homes, Prairie Homes and more. And last, but not least it is centrally located within the city of San Diego and has easy access to major thoroughfares. If you wish for quiet streets, Victorian charms, breath taking views and beautiful gardens than Mission Hills, Bankers Hill or Middletown likely the home of your dreams. Despite it's historic nature the neighborhood of Bankers Hill is a progressive one and is home to the San Diego Future Ready Co-Living Communities Initiative which takes a more integrated and global spin on life within the community. This initiative is kind of a whole neighborhood approach to co-house social entrepreneurs, futurists, hacktivists, progressive scientists, culture makers, and influencers to work on projects and practices together. The neighborhood's name is in reference to its reputation of affluence. but part of the neighborhood maybe soon be renamed 'Makers Hill' to reflect the movement toward a shared, innovative, and open economy. Both Bankers Hill and Middletown have wonderful panoramic views of Downtown which sits below them and both feature elegant Victorian mansions which are not mixed use some still residential and some converted to office and business spaces. In all three neighborhoods homes for sale are predominantly of a historic nature but do range in from starter homes and fixer uppers up through elegant historic mansions. Other housing options included everything from historic apartment buildings to condominiums new and historic and the occasional town home. If you wish for quiet streets, Victorian charms, breath taking views and beautiful gardens than Mission Hills, Bankers Hill or Middletown likely the home of your dreams. Local real estate agents await to help you in your search for a place to call home. View our selection of available properties in the Mission Hills area. 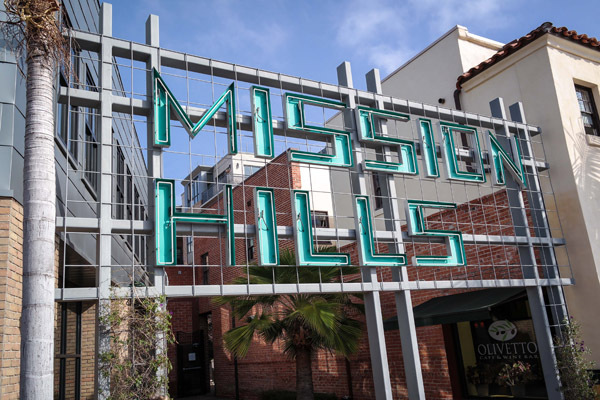 Check out the latest demographic information available for Mission Hills. Learn more about schools near Mission Hills complete with ratings and contact information. Browse through the top rated businesses in the most popular categories Mission Hills has to offer.